The tech CEOs both made a short list of possible vice presidential candidates. 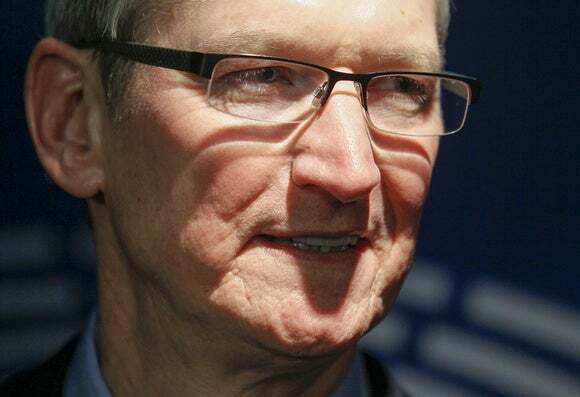 Apple CEO Tim Cook and Microsoft founder Bill Gates were both on a list of potential vice presidential candidates for Democrat Hillary Clinton, according to a leaked email published on Tuesday by Wikileaks. The email, apparently sent by campaign chairman John Podesta on March 17, named the two tech titans alongside 37 other people as "a first cut of people to consider for VP." Also on the list, published by WikiLeaks, was Gates' wife Melinda. She co-founded the charitable foundation that bears both their names. Other business leaders that made the cut were General Motors CEO Mary Barra, Bloomberg News founder and former New York Mayor Michael Bloomberg, Xerox CEO Ursula Burns, Coca-Cola CEO Muhtar Kent, Rockefeller Foundation president Judith Rodin, and Starbucks CEO Howard Schultz. Clinton's eventual vice presidential pick, Senator Tim Kaine of Virginia, and former Democratic presidential candidate rival Senator Bernie Sanders of Vermont were also on the list. It's unclear from the email how far in vetting any of the names got. Cook subsequently held a fundraiser for Clinton in August. In June, Cook also held a fundraiser for Republican House Speaker Paul Ryan.